If you’re in London this weekend, check out MCM London from Friday to Sunday, where I’ll be selling my new Fwendly Fwuit comic!!! 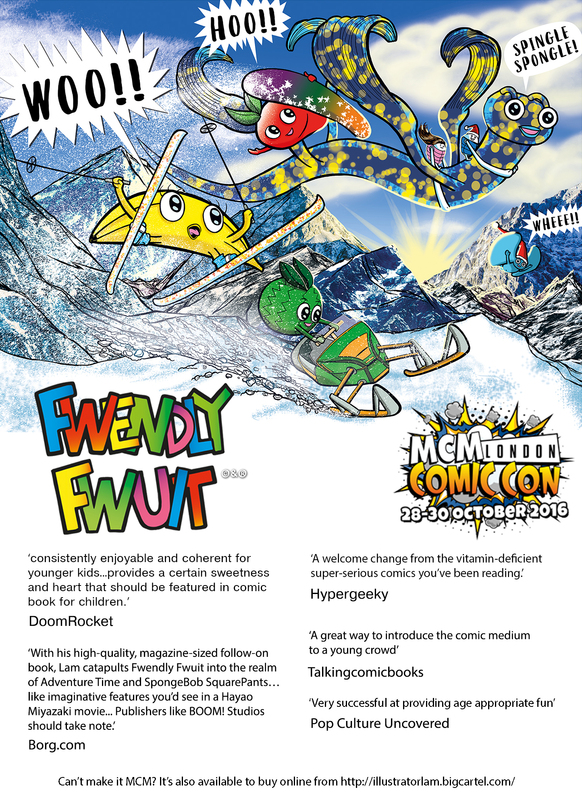 This entry was tagged comic book, Comicon, Fwendly Fwuit, London, MCM London, self published. Bookmark the permalink.